The report presents a detailed market analysis including an in-depth analysis of the market drivers, opportunities, challenges, and growth trend mapped across technology, application, and geographies. The market is segmented on the basis of technology (UV-A, UV-B, and UV-C), application areas and geographical regions. The market growth is primarily driven by the reduced prices of UV LEDs, and increased adaptability, efficiency, and enhanced lifespan of the UV LEDs when compared with the traditional LEDs. The worldwide ban on mercury vapor lamps post 2020, attributing to the health hazards of mercury, has also accelerated the growth of the UV LED market. The development of UV LEDs with the help of next generation substrates, and the emerging application areas such as disinfection and purification, among others, are some of the factors that will contribute towards the growth of the market in the future. However, the transition from the UV lamps to UV LEDs, and the excessive amount of thermal heat generation from UV LEDs have been acting as restraints to the growth of the global UV LED market. The UV LED by technology chapter is the result of a comprehensive and rigorous research. The chapter is divided into three major technologies which are the UV-A, UV-B, and UV-C. The global UV LED market is currently being dominated by UV-A LED in terms of value. However, the high growth in UV-C LED is expected to drive the growth cycle for the UV LED market in the coming years, and UV-C is expected to attain the highest market share by 2023. This high growth can be majorly attributed to the increasing adoption of advanced disinfection & purification systems. Since the last decade, UV LED systems have penetrated a plethora of application areas including curing, disinfection and purification, and medical, among others. 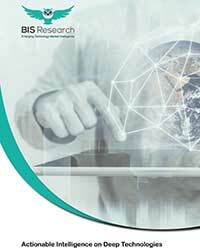 The report provides an exhaustive application analysis including the market statistics for different verticals and enumerates various use cases with a futuristic roadmap for each industry vertical. An extensive research and study on the leading as well as developing regions in the UV LED market such as APAC, North America, Middle East, and Latin America, the report provides the market statistics, drivers, challenges, and opportunities across these regions. The report also formulates the entire value chain of the market, along with industry trends of UV LED technologies and applications with emphasis on market timelines & technology roadmaps, and market dynamics. Some of the key players identified in the report are Nichia Corporation, Seoulviosys Co. Ltd., Phoseon Technology, LG Innotek, Philips Lighting, and NIKKISO Co., Ltd., among others. What will be the global UV LED market value by 2023 along with the estimated CAGR? What are the driving factors for the global UV LED market through 2017 to 2023? Which factors are impeding the growth of the global UV LED market? What are the recent trends and developments in the global UV LED industry? Which UV LED technology will prove to be the most cost-efficient for UV LED systems? Which application will dominate the global UV LED application market by 2023? Which region will lead the global UV LED market by 2023?